Julian´s Wedding Dress Day is Vienna´s ultimate wedding dress shopping experience for the bride and two of her friends. You will be picked up by Julian in a chauffeur-driven bridal car – packed with delicious treats! These include an afternoon tea, divine cakes and patisserie. This is also an opportunity to probe Julian for all his wedding-planning secrets. Together, we will find THE dress in Vienna´s leading bridal boutique then celebrate and take delight in champagne and tasty canapés specially prepared for you during this private appointment. 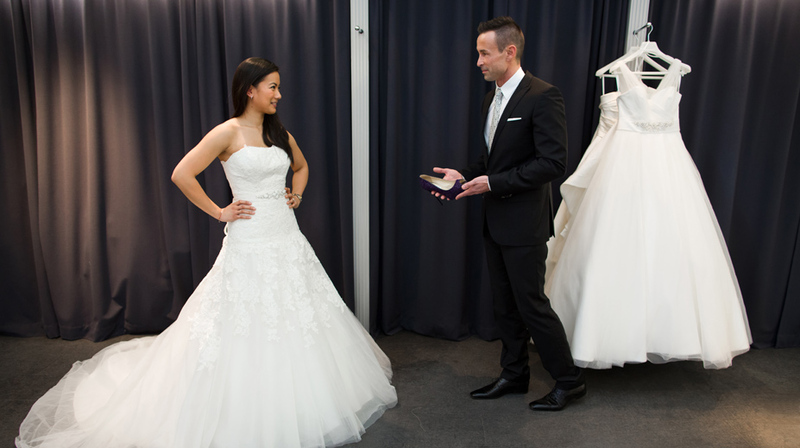 Julian´s Wedding Dress Day is available as a stand-alone service. So you don´t need to just be a „Julian bride“ to get the VIP bridal experience.